DYK that Toronto Public Library is the world’s BUSIEST public library system? Last year alone they had 18 million visits to their branches and 34 million virtual visits. And it’s not just shushed browsing in the stacks; with so many weird and wonderful programs and events (from geocaching to comic art workshops to after-hours parties in the stacks), TPL makes hitting up the library fun. Torontonians (that’s you) are encouraged to speak up on social media about their personal connection to Toronto Public Library and the programs that are important to them. Under the hashtag #ImLibraryPeople, TPL devotees can communicate their shared values and connect to other library lovers, inspiring others to give back to their community and to the library. If you’re one of those “Library People” and want to shout it from the rooftops, pipe up! 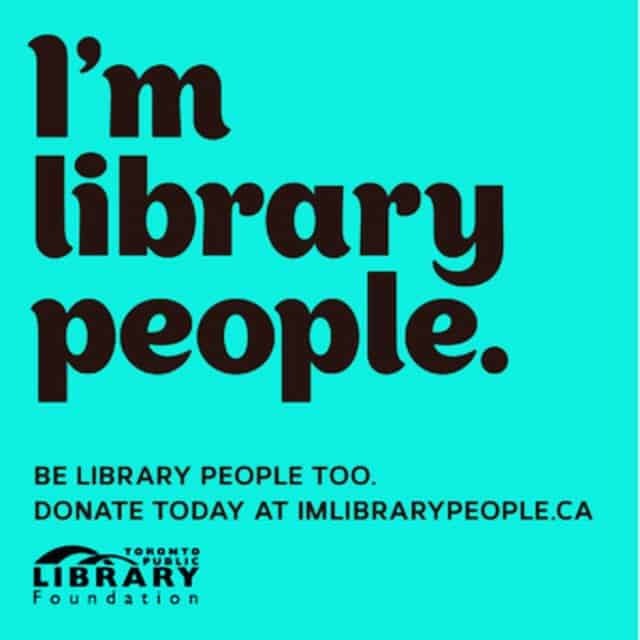 Visit imlibrarypeople.ca to make a donation or for more information. Check out #IMLIBRARYPEOPLE on social. Facebook, Twitter, Instagram.